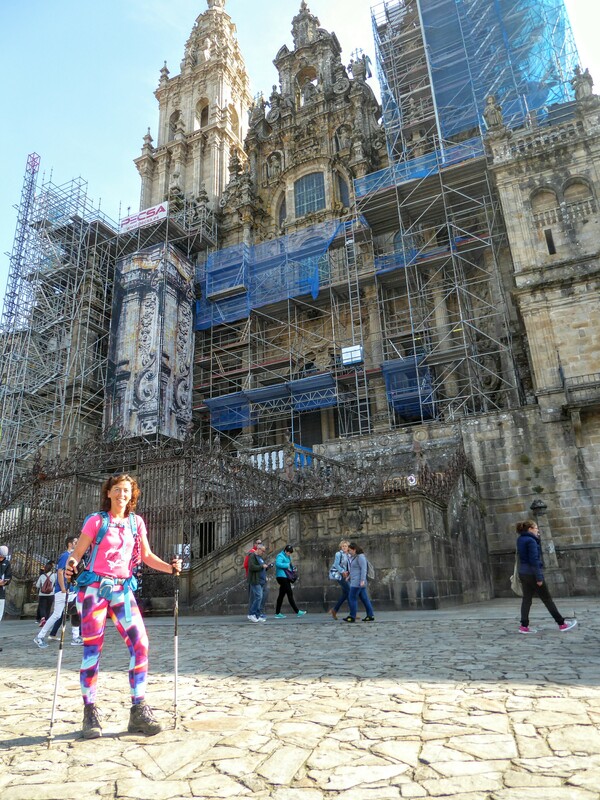 Here I am in Colombia writing about that last week of the Camino. Portugal and Cuba already visited and still in my mind a pilgrim!! So let’s talk some more about it! I love too! 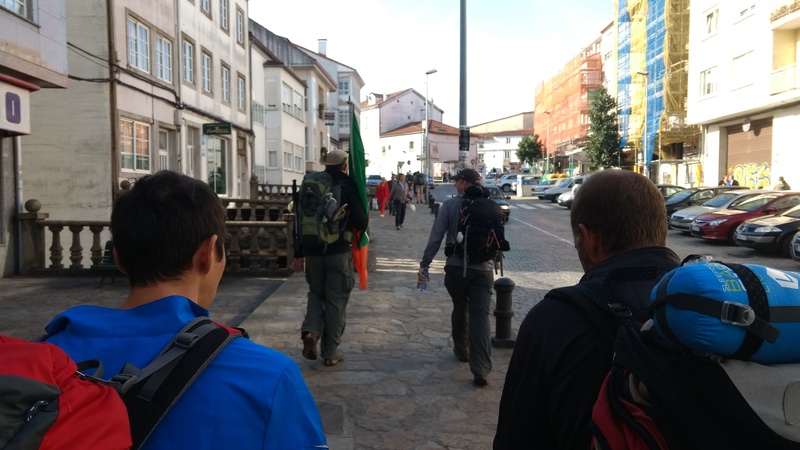 My last post ended when I was in Villafranca and had walked for 29 days. 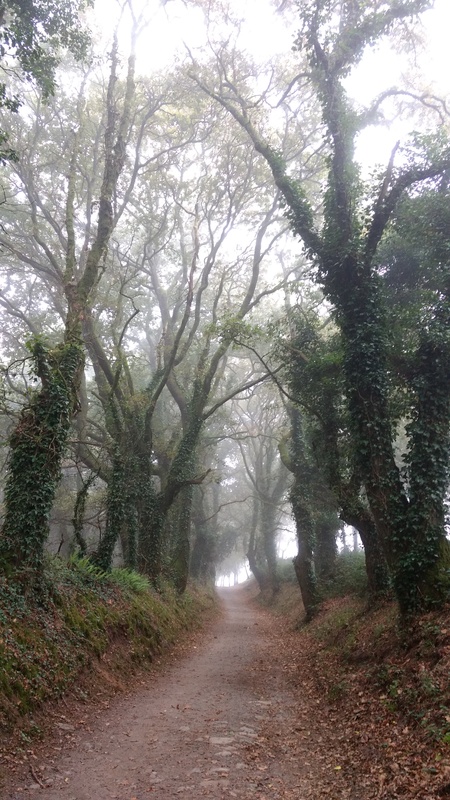 I still had to walk for a couple of days and it was getting colder as I was getting higher in the landscape of Galicia. The morning views were getting more beautiful too!! 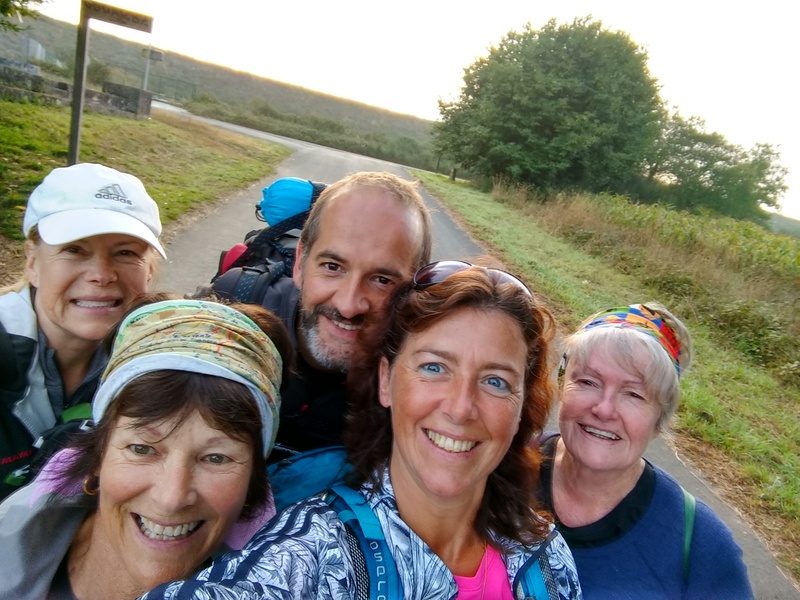 The morning mist just made them the best of the whole Camino maybe…. On the other hand was I missing places to sit down along the way which had been there all way through.. but now only in villages with a cup of Cafe con leche… Not bad either!! 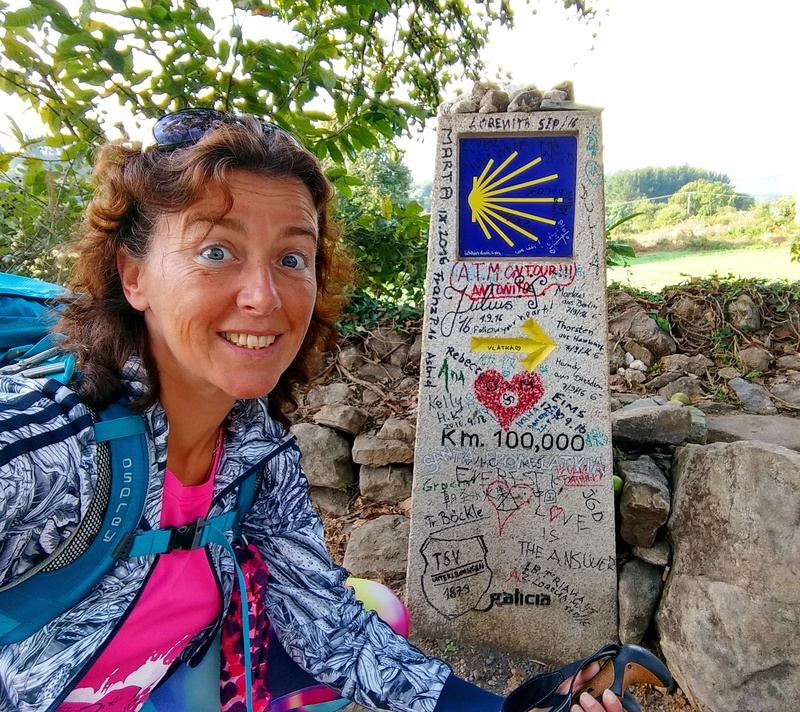 The last KM’s of my beautiful experience: The Camino Frances! I started early morning and went up the hill. The day before I went up already for the largest part so I only had to go for the hardest part. It was a great view looking back to that sunrise!! But the higher we came…and closer to O Cobreiro..the village on top of the mountain.. it was getting colder and colder!! We were in the mist at a certain point…there was a cold wind breezing.. And after enjoying the view I went in for a cup of coffee with Lola and her friend from Australia. Always nice to share a cup early morning!! After the cup of coffee it started to clear up….but as you can see on my face…and my clothes it was still cold!! I still had some olives with me and I eat them on a great spot half an hour later!! That together was a great lunch! Just before entering Tricastela I walked into the little village of Ramil. 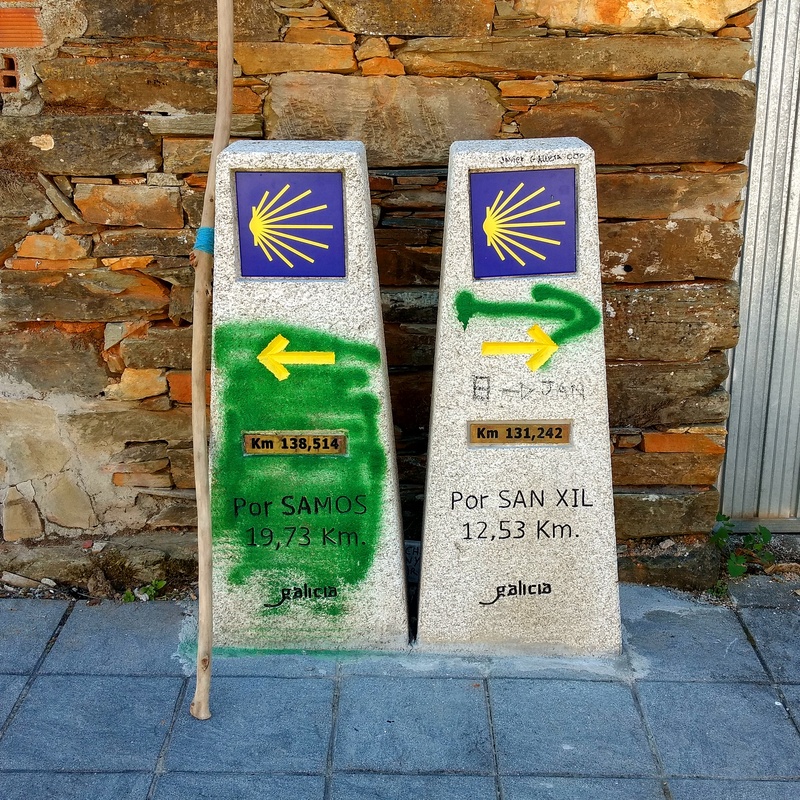 In my book of the Camino it was mentioned and it took s olong that for a minute I thought I missed it. But there it was. 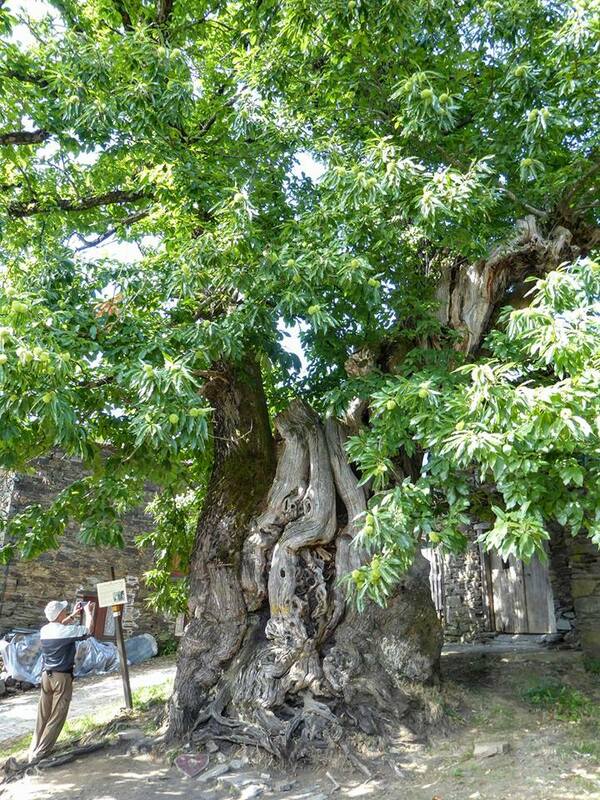 A huge tree..800 years old! It couldn’t be missed… It was the centre piece of the village. It stood in the middle of the road…village.. Great! 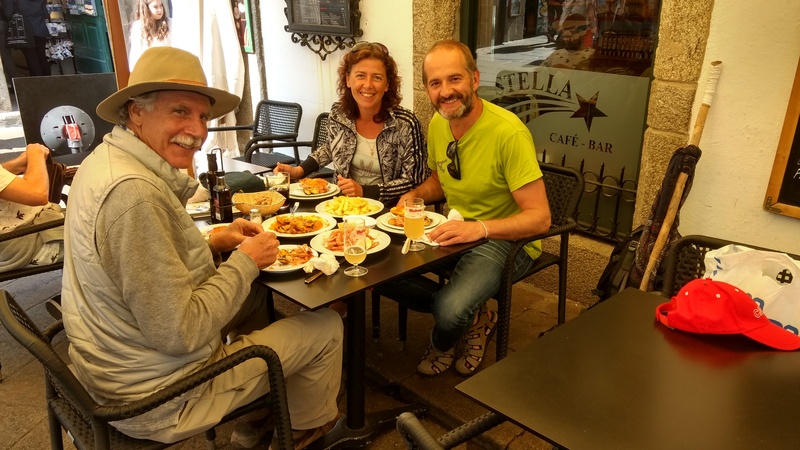 From Tricastela you can take different routes to Barbedelo. I took the scenic and the longest route ofcourse!! It brought me to the famous village of Samos. Samos is famous because there is a great old monastry and ofcourse I wanted to see that. 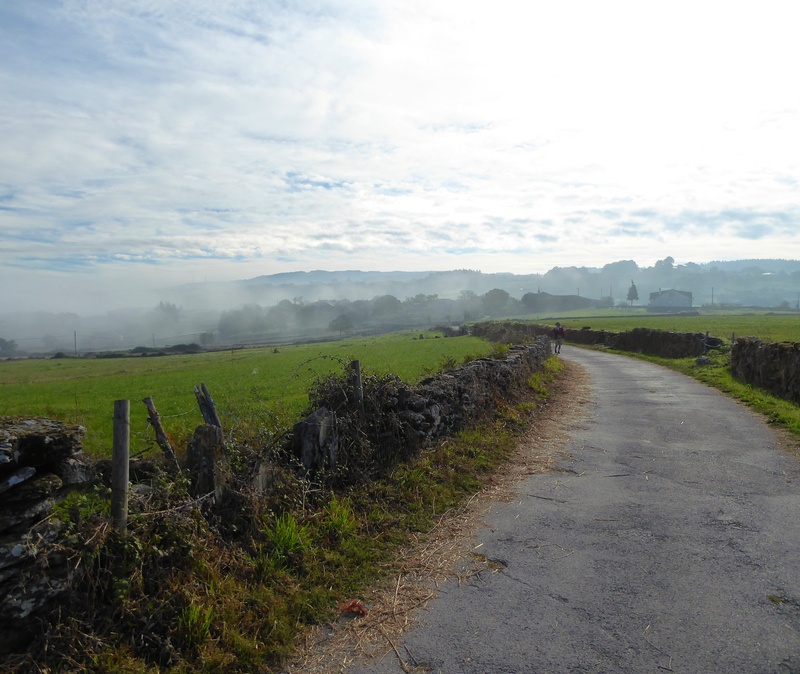 The way there got me first along the road…but then along the old and (seemed) ancient villages in the Galician country. The time had stopped an age ago and everything was still the same. It was too dark to make good pictures unfortunately but I loved the walk!! I didn’t see any other pilgrim too untill I was in Samos. 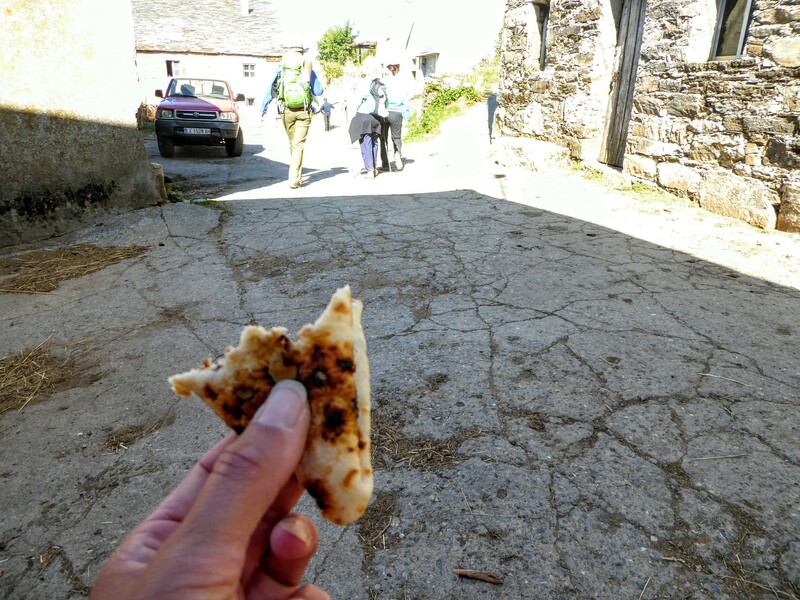 I first visited the shop of the monasty, rest was closed, to get a stamp and then went for breakfast which I had walked for …for 10K! And there I met Australian Maureen again. I got to see her more and more!! Wasn’t that a great view just after the sun had risen? I walked on to Barbedelo. 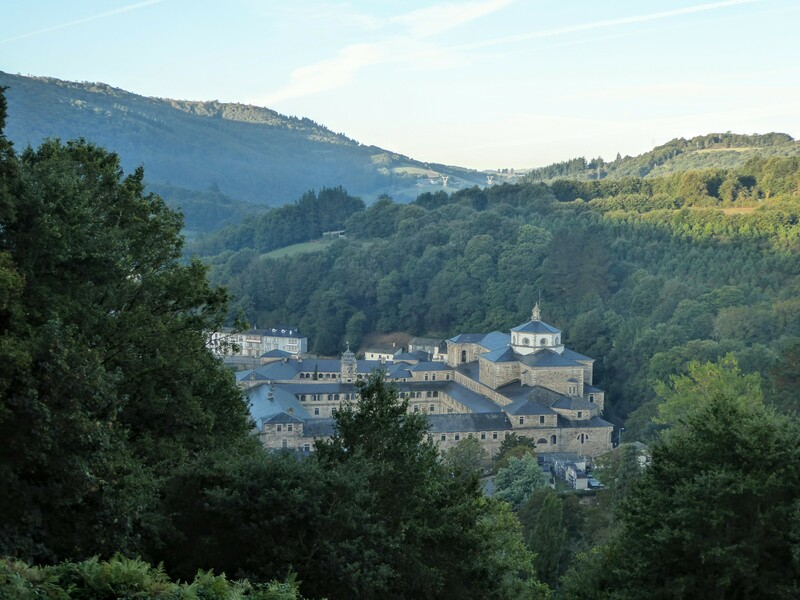 That is a village a couple of K’s after the city of Sarria. A lot of Spanish pilgrims are supposed to start there so it would be busy. 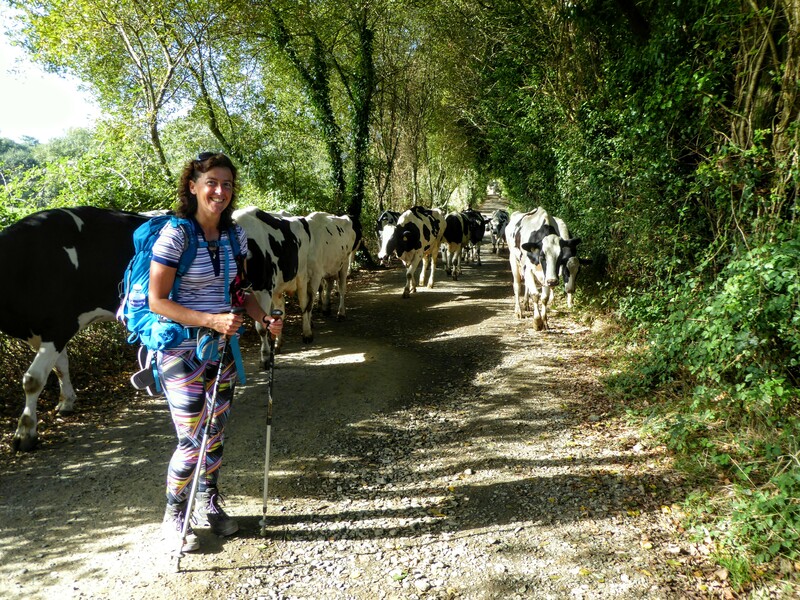 Also the Camino would be more busier after this day, they told me. 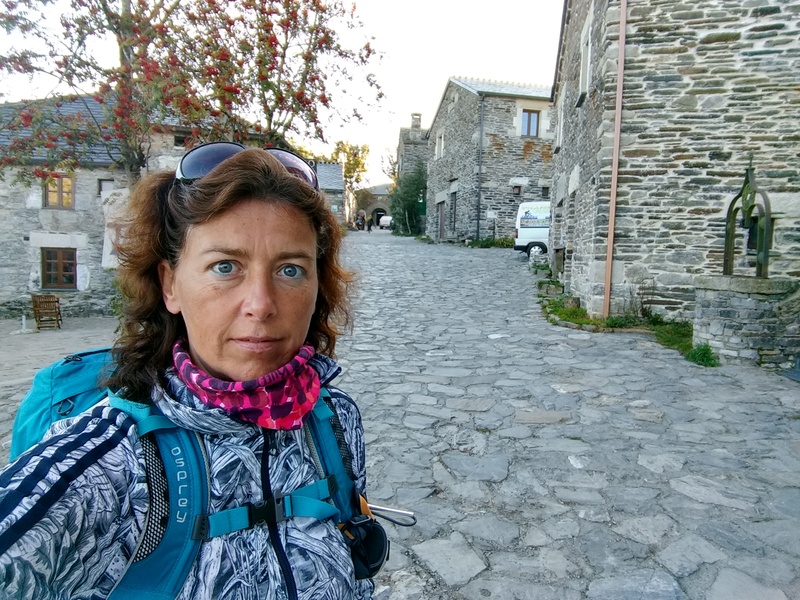 So I went off the suggested stops….Just a village beyond and hopefully keep that rythm and don’t get into the group of people that just walk for a couple of days and are not already doing this for a month. They would be partying and such…they told.. When I got in the small village of Barbedelo…really small… 15 people living there at the most? I got a albergue with a swimmingpool again! 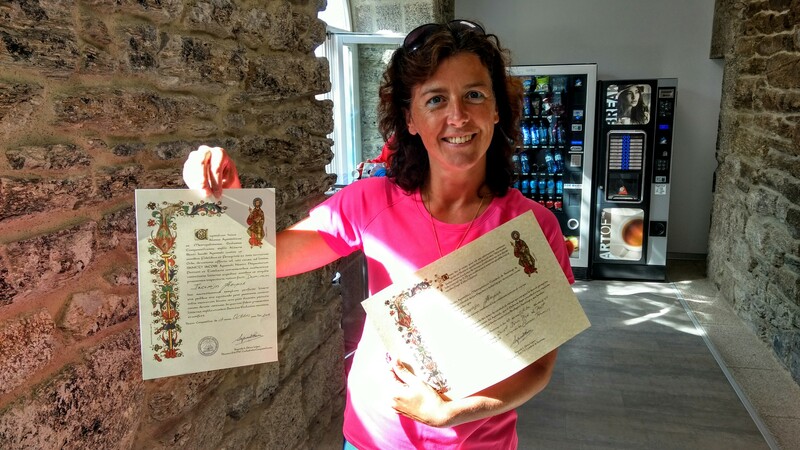 I loved this too about the Camino, paying 10 euro…for a bed…a good shower and a swimmingpool! 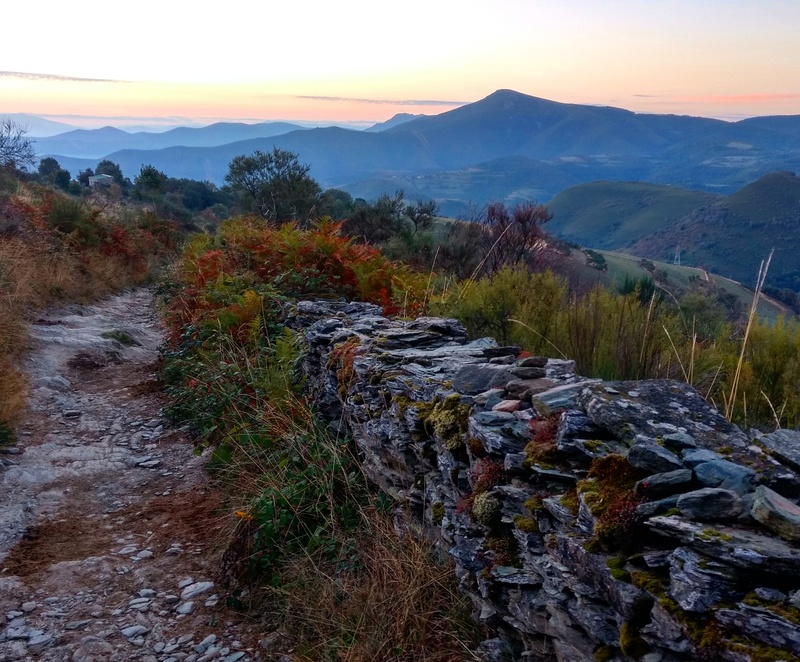 How can life not be good on the Camino!! After walking about 8 k I entered a place where I almost got to the sign where it would say I still had to walk for 100K!! Ofcourse that was time for a small video again. 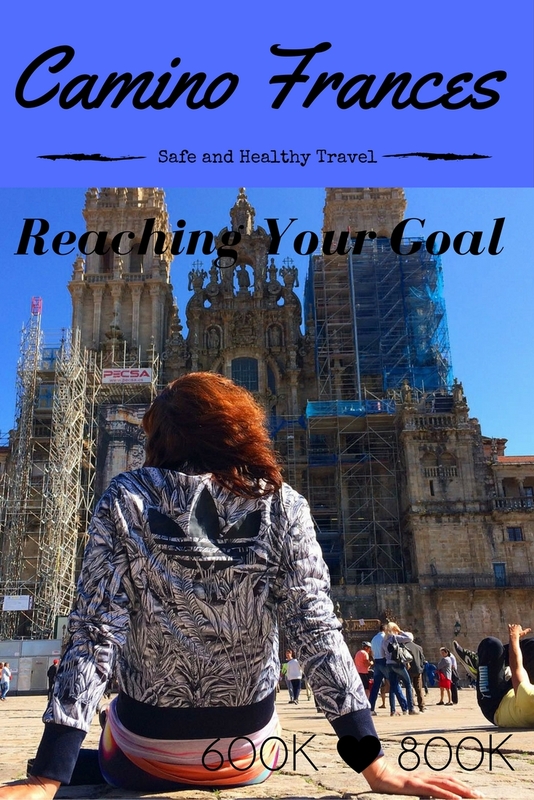 I was happy to reach it… It got my closer to my goal… I am going to make it. Not that I ever doubted it…but still… 32 days you are walking and walking… getting closer and closer.. It felt good! Because it was going to be a long day, 31 K I walked beyond the nice city of Portomarin. It really seemed nice and the couple of K’s before that I started walking with two men that did enter the city. But on the brigde that got us into the city I saw Maureen again. She was not going to stop there either. She wanted to pass it with the same reason as me…a long day, it was 11.30 hrs in the morning and going to the next village for lunch seemed a good idea. But that was 7K still.. The map stated different and we were both suprised about that. After 7K and hardly any places to sit down I came at this restaurant and sat down. I quickly saw a familiar face, it was Ignasi and he welcomed me and we talked for a bit. That was a long time ago. 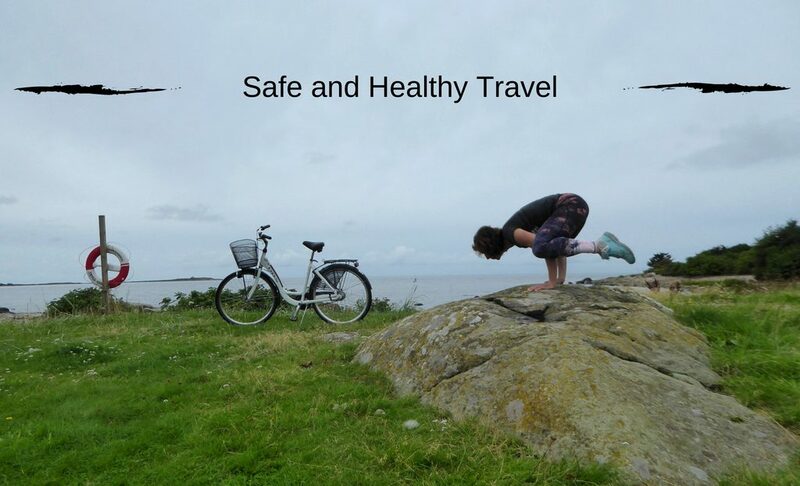 I love that about the Camino too. Sometimes you don’t see someone for a week…or even two weeks… and then you meet again. I was still walking with Jerry when I met him for the last time, it was just after Sahagun. He told me to go a village beyond the one I had in mind. It had better albergues, a shop… and we could meet again 🙂I had my lunch and in meanwhile Maureen entered also. She was surprised too about the distance. 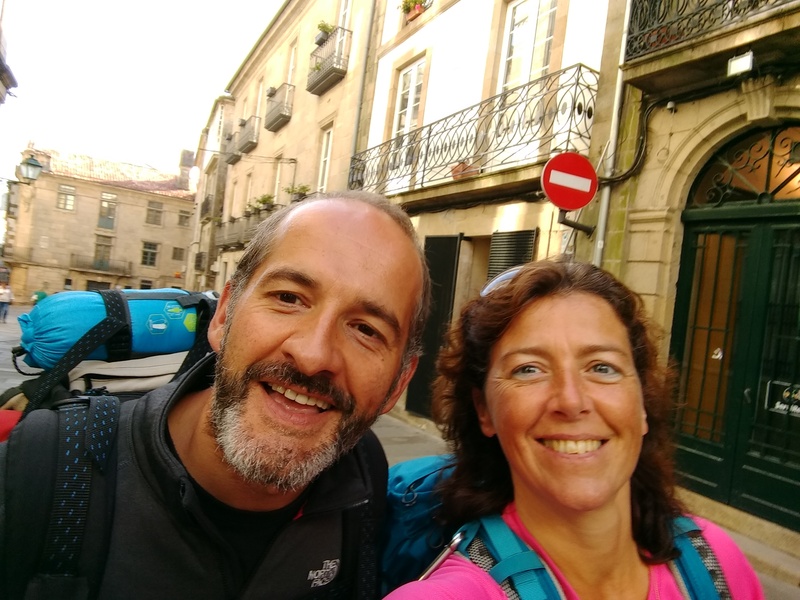 When I started to walk again I did decided to go that extra K and when I wanted to check in the first albergue it was full… there was still one other in this small village and there was Ignasi and Barclay! Nice! And soon after I met with Sean, the Irish Guy I keep meeting all the time too. It was already two weeks ago that I saw him! Great! 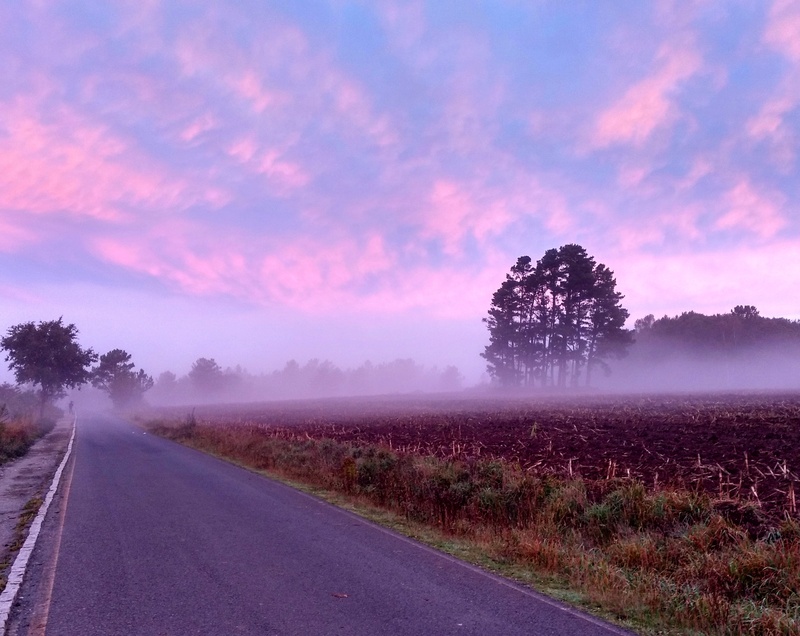 It was getting colder and more mist in the morning. I started when it was still dark and had this great sunrise!! It was mostly because of the mist that the surroundings were spectacular! And then a bit down the road it turned into this.. You just got to love this!! 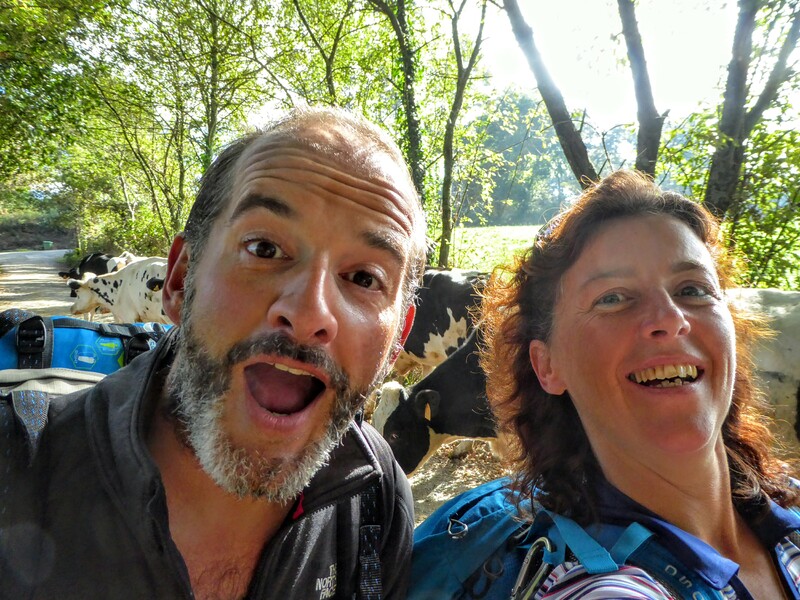 I intended to walk 27K and because of that Ignasi thought we wouldn’t see again as he was walking with his Camino friend Barclay. We had exchanged numbers and connected on the social media to keep in touch. This day was nice but the places where you could rest and have some coffee and tortilla were hardly found. Even where you could get coffee they didn’t had tortilla in the morning but dry bread…nothing good or special. I really missed that! But the scenery that day was great!! At one point I had coffee and Jean came walking in too. I had passed him somehow because he had started earlier then I did. We had coffee together! In Melide I found an albergue Municipal and it didn’t took Jean long to enter after me. Shortly after I got a message of Ignasi. He told me he walked to Melide too and asked me to eat some Pulpo with him. I thought WHAT? I didn’t know what it was and he explained. It was octopus…well.. I do like fish and seafood but only if it looks good… But what the… I would like to go have some food with him so I said yes. 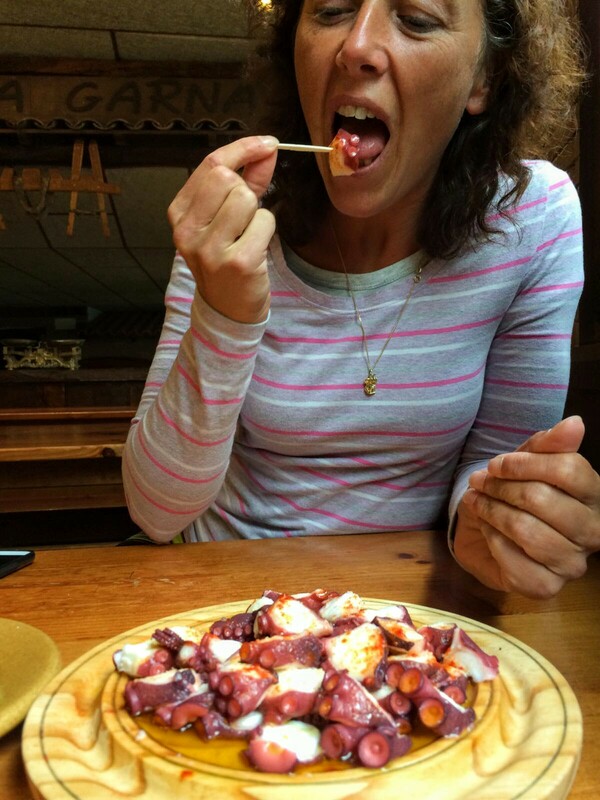 Shortly after I ate ocotopus for the first time .. Pulpo. Melide is the Pulpo city and they have the best, Ignasi told me. And I have to admit that I really liked it! It was really meaty and I didn’t expect that! It was subtile seasoned with some paprika powder and oil. That same evening we went again but now with a whole group! They went for the Pulpo… but I ordered fish this time and as you can see Ignasi is sitting with a bowl of soup in front of him! 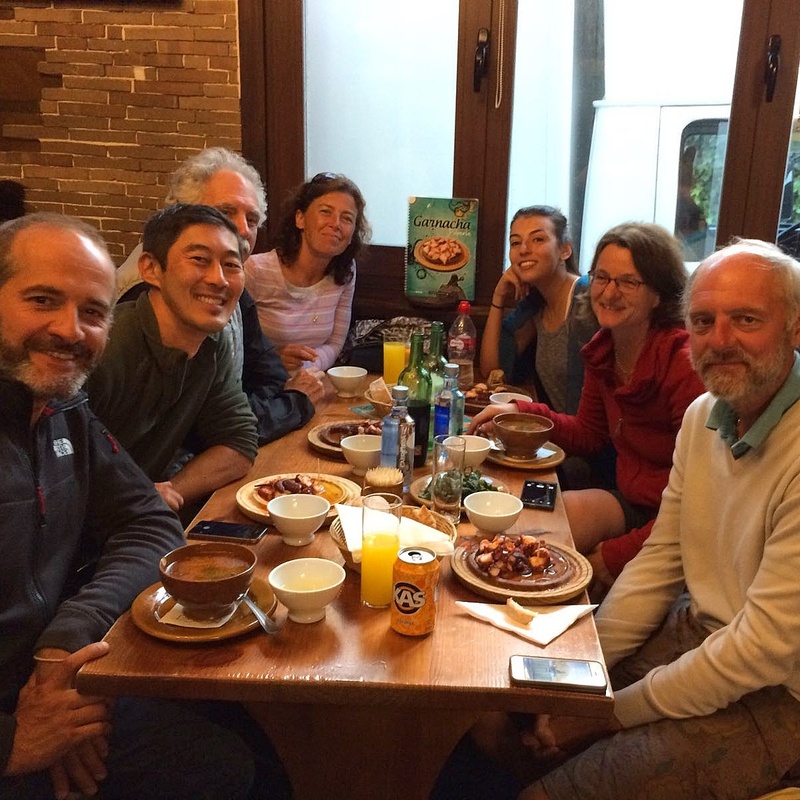 The group had7 nationalities!! That is the charm of the Camio!! They were Belgium, German, Inbar from Israel, Fernando from Brasil, Barclay from Canada and Ignasi from Barcelona… I shall not say Spain…As he is from Catalonia 🙂 and myself from Holland! So I wanted to start early but at 7.15 I was still drinking coffee near the albergue in Melide. At that point I got a message of Ignasi, he was already walking…alone. Barcly didn’t feel good and wanted a short day and would walk with Inbar who had lots of time and didn’t wanted to go fast as well. When we started to walk this morning I didn’t felt any pain, I felt lucky about that! We decided to walk slow and take our time. We did start early so we could be in Santiago about noon. 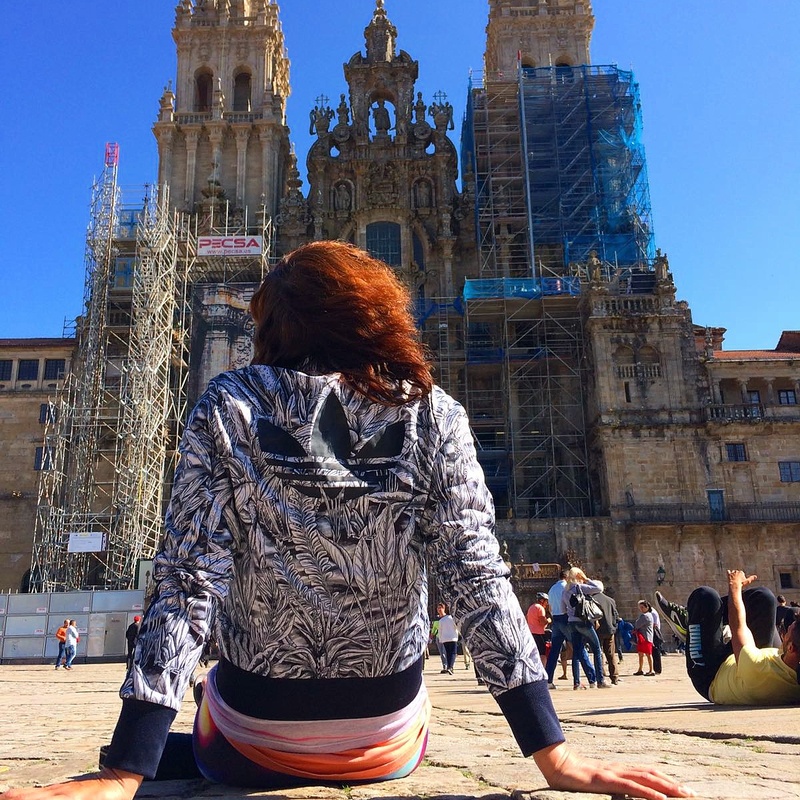 Great time to enter the city….the square… at the cathedral! !We had a cup of coffee after about 3 K and there we saw Maureen and her two friends!! They decided to walk together for this last day and also took their time. Everybody had this strange feeling…. I could see….You could feel… Everybody took their time…were reminiscing already…Ignasi and I walked on and had a great walk. We had fun and talked about all kinds of things. Along the way we saw Maureen, lady on the right side of me, again. Now we took time to take a nice selfie with the whole group!! Isn’t it a nice one? and all of a sudden you’re there! When we heard the music…I started to film..
Those were at the entrance…the gate before you enter the square..
and I wasn’t happy about it.. The moment you set foot on the square you step out of the life you have had for the last month. That life was familiar….it was nice…it was simple..it was great!! Every day again you did what you did…walking, checking in in the Albergue, wash your clothes, sit down and relax together…eat, sleep and repeat..
what we as a Camino Family did..
We went to the office where we could get our Compostella, we stand in line for it for 2 hours.. That’s what we had to do now..
That evening I went to the Cathedral and saw the Botafumeiro swinging through the cathedral. It was more impressive then I thought. The nun that sang the mass was amazing, her voice was so clear!! 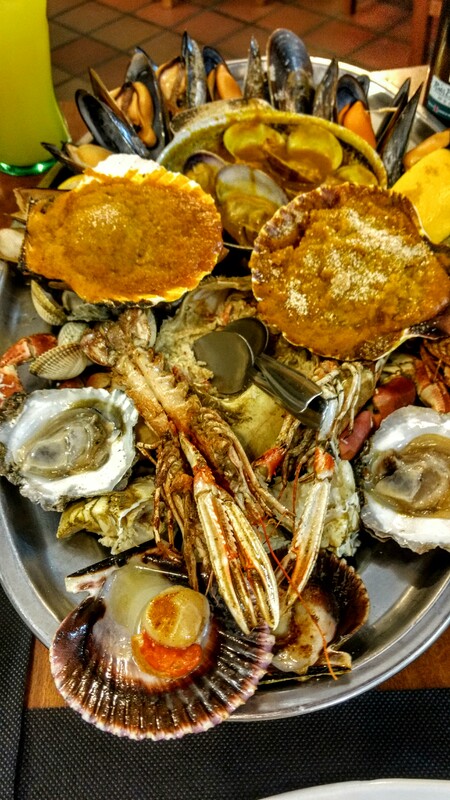 I couldn’t understand a word….but it felt part of my closure none the less..
What also a tradition is according to Ignasi is eating great seafood so that is what we did too!! Twice!! 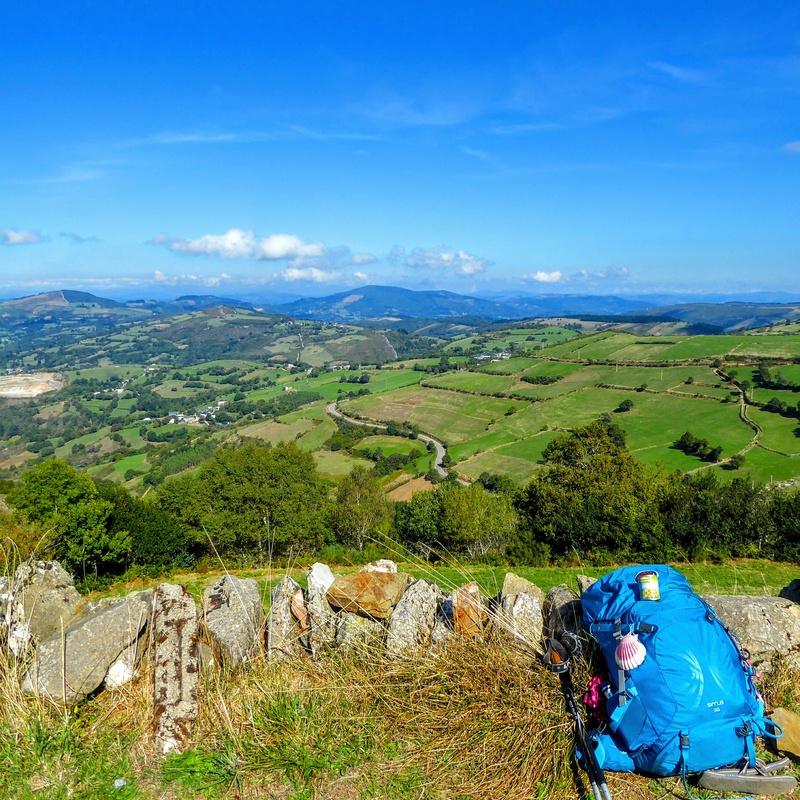 And something we all know…but still don’t do enough..
Have you ever done a Camino or walked for weeks? Thank you so much for your sweet comment Anika!! I can recommend this to everyone. It was the best experience ever! Ik denk dat dit de kern is van de Camino, een maand leven zonder hectiek en zonder sleur. 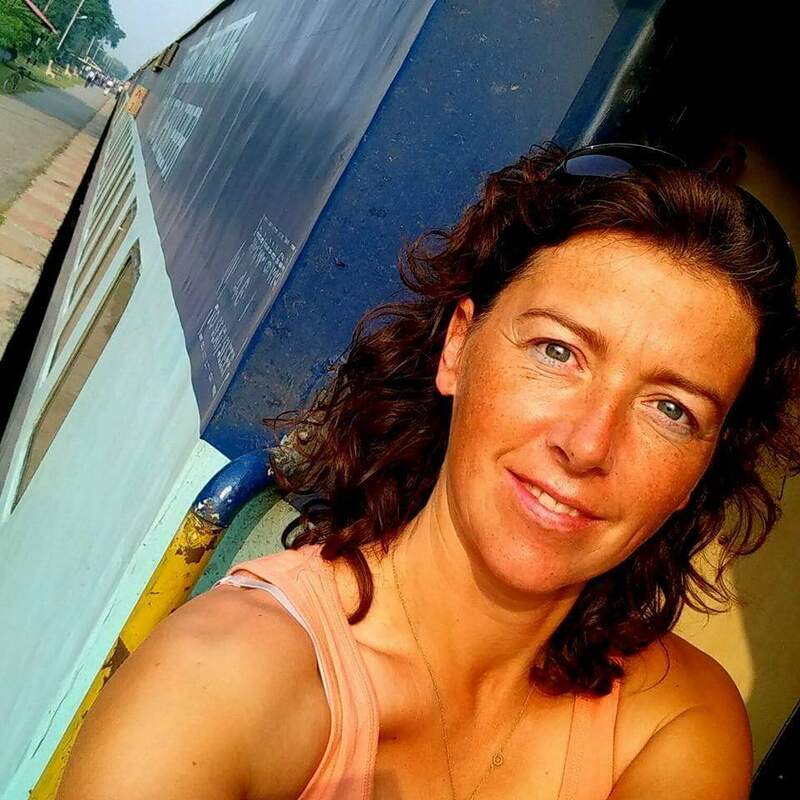 Om er vervolgens achter te komen dat we moeten genieten van het moment en niet constant met een been in het verleden of in de toekomst moeten staan. Bedankt dat ik mocht delen in je verhalen en gevoelens, ik heb er van genoten!! Exact!! Het overviel me enorm dat gevoel, totaal onverwachts! Het is een hele goede les en een super ervaring!! En eh…ik ga ook nog wel een keer over een paar jaar! !